A former national security adviser to President Barack Obama said Donald Trump's "national security team needs to know everything" about the lengthy one-on-one meeting he had with Vladimir Putin, calling the meeting a "historic mistake" and saying it would have been for any U.S. president. 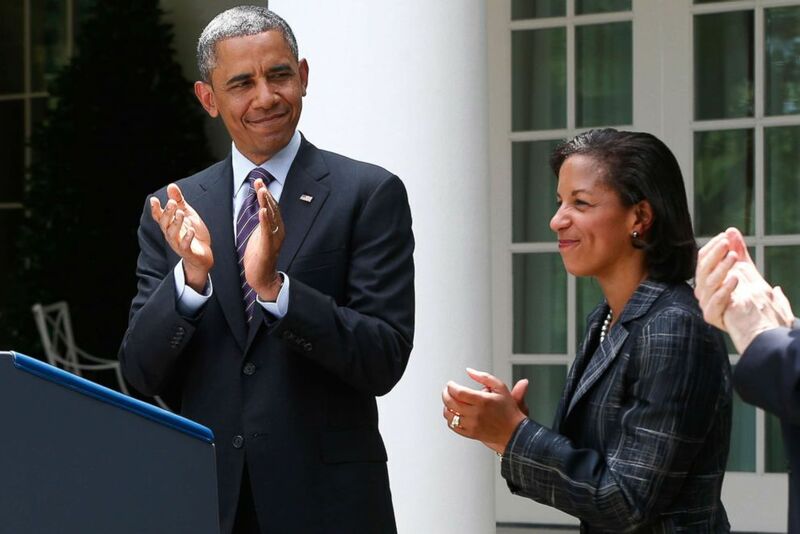 "We need to know everything, and the president's national security team needs to know everything," Susan Rice, who also served as ambassador to the United Nations during Obama's first term, said Sunday on "This Week." "It was a historic mistake to allow the president of the United States, not just Donald Trump, but any president, frankly, to sit for two hours without any note takers, without any aides present with one of the most adversarial leaders of the world relative to the United States." President Barack Obama stands with United Nations Ambassador Susan Rice, his choice to be his next National Security Adviser, in the Rose Garden at the White House in Washington, June 5, 2013. Trump and Putin met in Helsinki on Monday during a summit that led to multiple walk-backs by the White House in the days following. Trump and Putin met, with only their interpreters present, for more than two hours. Trump's own director of national intelligence, Dan Coats, said during the Aspen Security Forum Thursday he didn't "know what happened in that meeting." "I think as time goes by and the President has already mentioned some things that happened in that meeting, I think we will learn more," Coats said at the forum. "If he had asked me how that ought to be conducted, I would have suggested a different way. But that's not my role. That's not my job." "Very predictably," Rice told ABC News Chief Anchor George Stephanopoulos, "the Russians are feeding their line of what happened. We are hearing no rebuttal or comment from the United States. Russia is dictating the public perception, the global public perception of what transpired in that meeting and we have no basis for countering it. It's a very, very uncomfortable and indeed dangerous situation for the United States to be in." The two presidents also held a joint press conference on Monday. 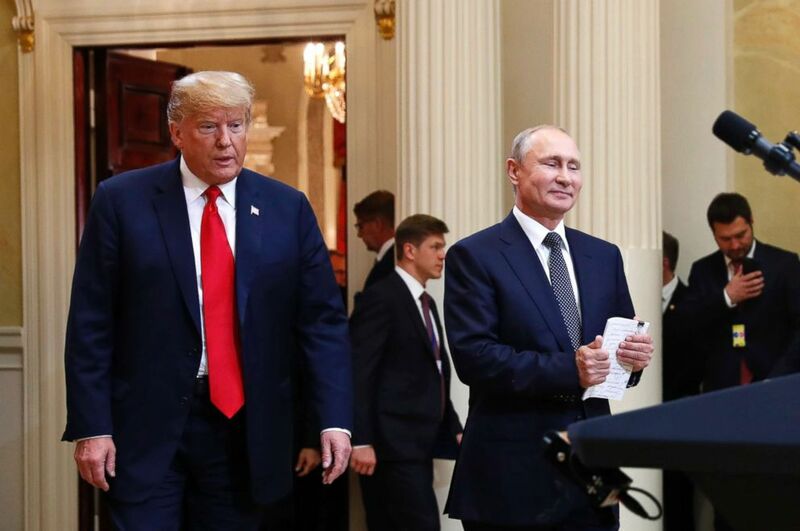 Trump appeared to accept what he called Putin's "strong" and "powerful" denials of Russian government election interference over the conclusions of every U.S. intelligence agency. During the press conference, Trump said, "My people came to me -- Dan Coats came to me and some others -- they said they think it's Russia. I have President Putin. He just said it's not Russia. I will say this: I don't see any reason why it would be." On Tuesday, Trump said he needed to "clarify" one word he said during the press conference. "In a key sentence in my remarks, I said the word 'would' instead of 'wouldn't,'" Trump told the cameras during a meeting with members of Congress in the Roosevelt Room. "The sentence should have been: I don't see any reason why I wouldn't -- or why it wouldn't be Russia. So just to repeat it, I said the word 'would' instead of 'wouldn't.'" Asked by Stephanopoulos whether Rice thinks Trump is "compromised by Russia," she said she doesn't "know what his motivations are." "I think that's a legitimate question, and it has been reinforced ... sadly, this week, by that tragic display by sycophancy in Helsinki where the president called into question yet again, standing next to Vladimir Putin, a dictator, the integrity of our intelligence community," she said. Rice said she's "not opposed to the notion of engaging the Russians," but said that a second summit between the two leaders doesn't "make sense." "There are things to discuss with the Russians, but we should have come into that meeting very well prepared, pressing our grave concern about Russian interference in our elections," she said. "There's no inherent problem with two leaders, even from hostile countries, engaging in dialogue. I support that. But you must come prepared. You must come to advance the United States' agenda, not to lie prostrate for the Russian agenda." Stephanopoulos asked Rice about an interview Trump did with CNBC Friday in which he said, "Obama was a patsy for Russia. He was a total patsy." "That kind of language is ridiculous. It's offensive and it doesn't frankly reflect well on President Trump,” Rice said. "Any American president should stand up for the United States of America, in the present and, historically, when meeting with Vladimir Putin."